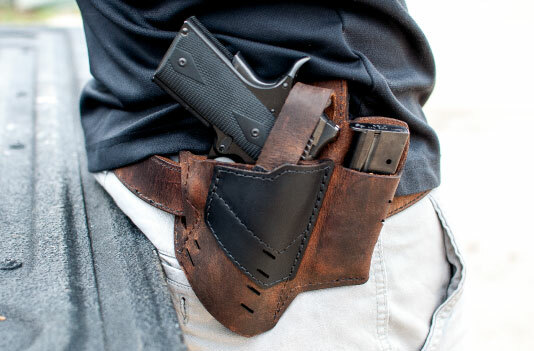 Securing your handgun from unwanted hands or coming loose while moving is essential, but so is it being able to remove it when needed. 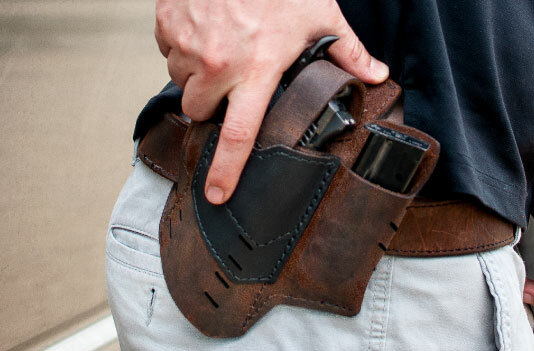 Our quick release metal snap allows for you to release your gun within seconds. 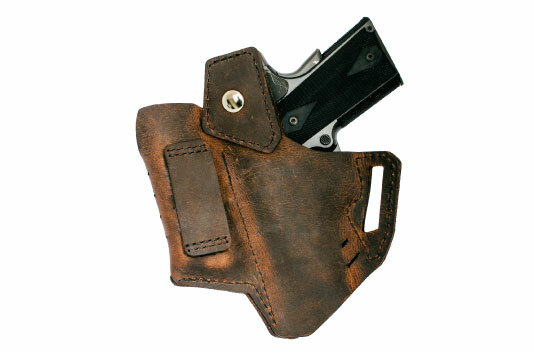 Our innovative Velcro adjustment system allows you to customize the retention that you carry your handgun entirely. 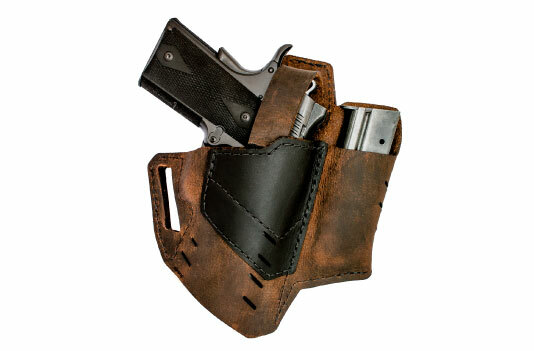 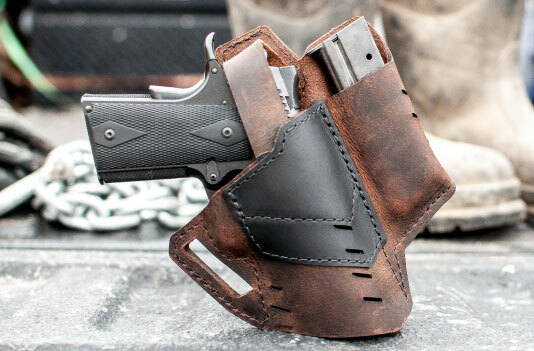 Whether you want to use the holster for a different gun, or your preferences, have changed, adjust the depth at which to the thumb break strap sits in the holster for more or less retention.